I was reading a question on Facebook about what Hot Glue Gun people use. The question was asked because they had problems with the ones they had used. I've had mine for a couple of years and I have not had any problems and I like it. I thought it was worth recording that. 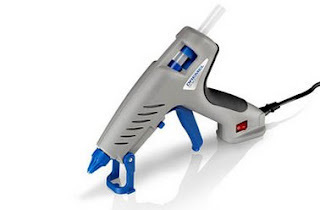 It is a high temperature 195C glue gun that fits 11mm glue sticks. 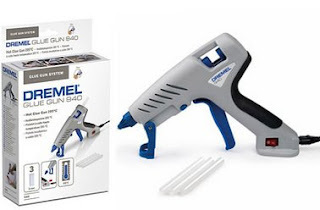 A Dremel 940. The built in fold up stand is more useful that I had expected. I chose this one partly because of the detachable cord. That feature has been invaluable because it can be used for a few minutes untethered so it can get in to awkward places more easily.